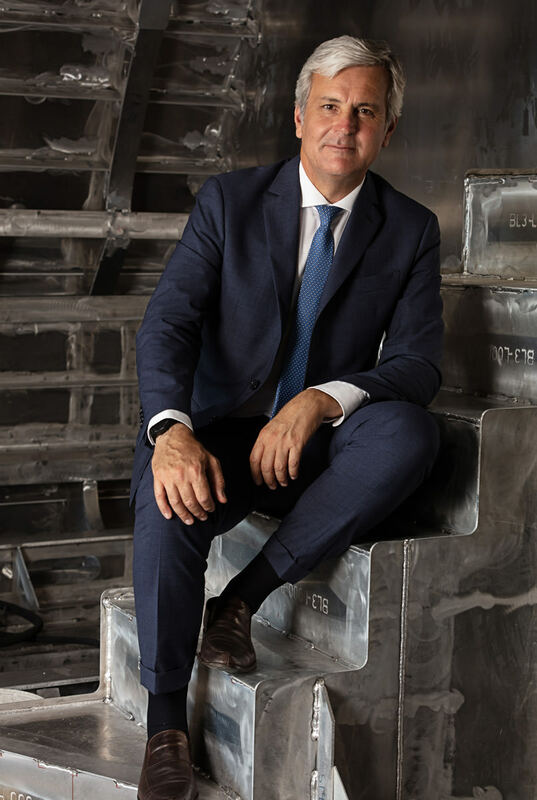 After joining the shipyard in 2015 as General Manager, Michele Gavino was appointed CEO of Baglietto in 2017. Throughout this time, he has worked to enhance every aspect of the brand, from infrastructure and production to organisation and customer satisfaction. Here he discusses the steps already taken, and those under way, which will take the Flying Seagull logo into 2019 and beyond. We’ve been working in two distinct but related directions to raise the efficiency of the company and the quality of our products. The first stage began in 2012 when the Gavio Group acquired the shipyard and began investing in the shipyard facilities to raise our production capacity. This modernisation process saw the inauguration last year of our new covered basin and dock front, which means we can accommodate up to 12 vessels at any one time. The area is extremely well protected, a fact that came to light last October when we were untouched by a severe storm that passed through and caused havoc in some neighbouring locations, especially Liguria. In the future, we’re also hoping to increase the available space still further by acquiring the use of neighbouring land currently occupied by the Italian Navy. Parallel to these developments are the improvements we’ve introduced into the organisation of the shipyard. These are aimed at increasing efficiency and growing the skill sets of our technical office from an engineering perspective, so we’ve integrated certain disciplines, such as the electrical design, into our in-house team, whereas before we relied on trusted subcontractors. This allows us to better monitor the workflow and quality control during new builds, but also means we are well placed to take on major refit projects when there are complex technical works to be done. And to assist in this process, we’re reinforced our management team with the new post of Project Engineer, which didn’t exist before, whose responsibility is to interface with the technical office to coordinate the various naval platforms. Talking of refits, as well as welcoming yachts by other shipyards to La Spezia, we are very keen to bring back our own boats and secure long-term relations with their owners and captains. Besides Nina J, we are particularly pleased to have Antalis in over the winter for refit and repair work, as she’s never been back to Baglietto after her launch in 2007. We’ve also developed a Commissioning Integration Program, known as PIC in Italian for Piano Integrato di Commessa. This tool basically helps to coordinate our activities by clarifying communications, procedures and schedules between the various in-house departments, as well as with our subcontractors and suppliers. The scheme was introduced on 48m Silver Fox, and after the success this pilot project will be extended to all new commissions in build. Again from an organisational perspective, over the past six months our sales and marketing department has adopted a new system of Customer Relationship Management (CRM). Designed to streamline all our global customer services regarding warranties and refits, this has required a major reorganisation as the system covers our historic fleet, yachts under construction and future production. It conforms with the concept of Industry 4.0 by allowing better data exchange and cooperation, both internally and with other players in the value chain, and can be easily accessed from a computer, smart phone or tablet. Last but not least, we’re very focussed on harnessing new and sustainable technologies. This is a core mission of the Gavio Group, but also Nautica Italiana and SYBass, of which we are members. It’s a 360-degree vision that includes the drive towards eco-friendly propulsion systems to reduce fuel consumption and harmful emissions, but also the use of emerging recyclable materials. In fact, we presented a paper on the subject during the Italian Yacht Design Conference in Milan last November. 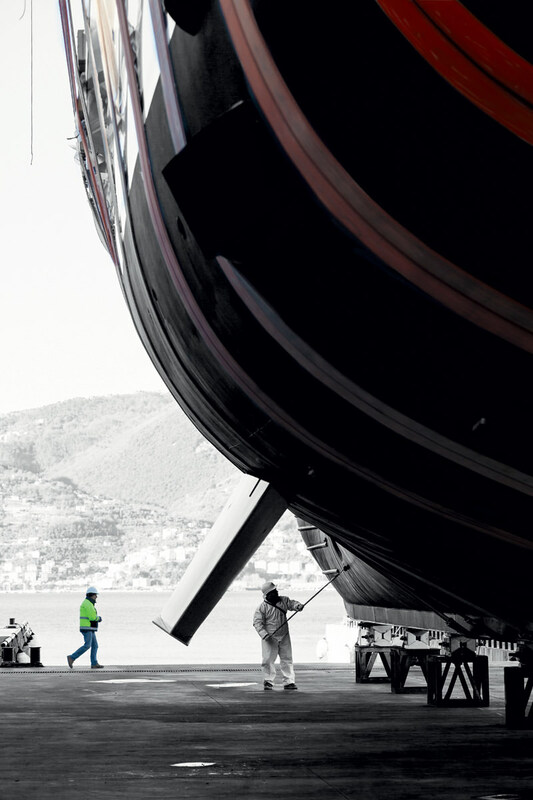 Some of these measures were requirements for obtaining ISO 9001:2015 certification for the Baglietto shipyard, which we were very proud to receive at the end of last year. But others are part and parcel of our desire to constantly refine and improve methodologies to offer our customers a top-quality product and all-round better service, whether it bein terms of product engineering, development and design, focusing production on models that are in line with current superyacht market trends, or raising the bar with regard to our warranty and refit services. And we fully intend to continue making improvements in the future! Established in 1854, Cantiere Baglietto Spa specialises in the construction of new planing aluminium yachts between 35-50m in length, and steel and aluminium displacement superyachts above 40m. 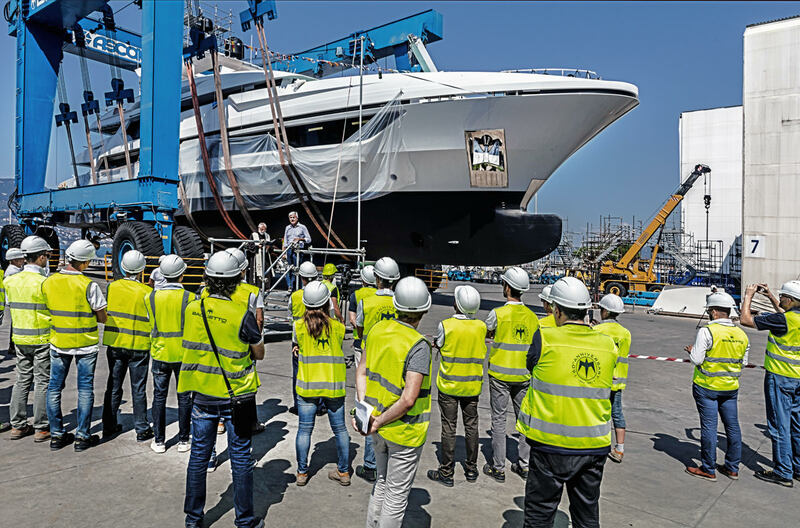 Baglietto’s shipbuilding activities further include professional refit and repair services, as well as the construction of military vessels under the Baglietto Navy brand. This latter initiative breathes new life into the brand’s long-standing and successful tradition in the naval sector with a range of fast patrol vessels. 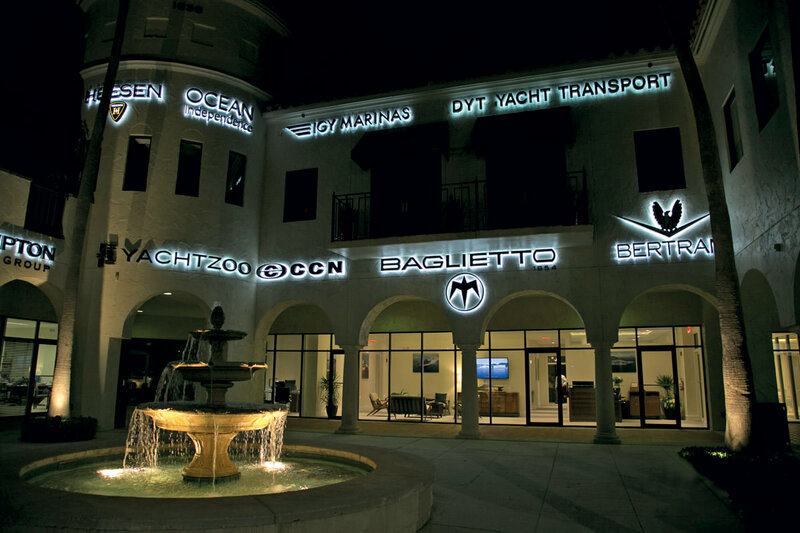 In 2017, Baglietto and CCN announced new US headquarters in Fort Lauderdale, Florida, with the goal of promoting both brands in the Americas. As the country’s superyacht hub, Fort Lauderdale is the ideal location for the ‘boutique’ headquarters in the US and each year during FLIBS draws hundreds of leading marine businesses from around the world and thousands of yachting enthusiasts.